Each week, Saturday Night Live holds a taped dress rehearsal to smooth out the night's show. And each week, a few sketches are axed for time. 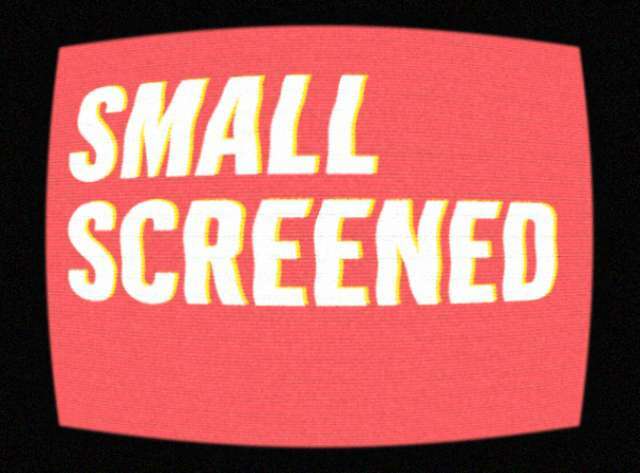 While most of these mythical bits are lost forever in the annals of TV history, SNL's viralability has prompted NBC to make a handful of them available. Some should never have made it beyond the writers' pot-addled brains. Others are way funnier than the material that actually ends up on the show. 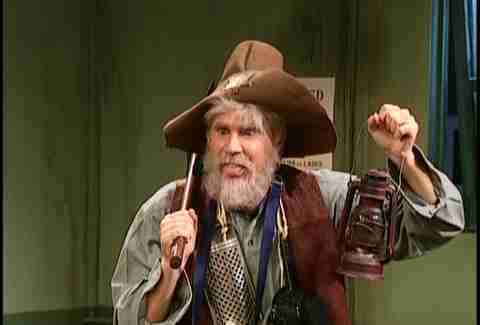 Here, we celebrate some of our favorite offerings from the nascent cut-sketch genre, as well as a few classics from the Ferrell and Farley eras that managed to sneak their way onto the web. Michael Keaton as a Blues Clues-esque children’s host who engages in inappropriate behavior with anthropomorphic furniture is super creepy and weird. That's why we love it. Kudos to Keaton for committing all the way here -- bowl cut, knee socks, and all. This cleverly done Who's Afraid of Virginia Woolf? parody features Taran Killam and Charlize Theron ripping into each other as they chug down increasingly elaborate and ridiculous cocktails. Theron is Oscar-worthy in this, channeling Liz Taylor's ferocious spirit while slurping shots of whiskey out of an ice luge. Dream woman! While most surfaced SNL cut sketches are from recent years, there are a few vintage gems that have leaked out as well. Here, Chris Farley plays Jerry Sozio, who can’t quite remember what he said to the guy ("so I says to the guy...") who cut him in line at the supermarket. As always, Farley’s exuberance and energy elevate a thin premise into a comedy classic. An ensemble musical sketch featuring Woody Harrelson as God, Kate McKinnon as Ruth Bader Ginsburg, and Ed Norton making out with Aidy Bryant? This is so fun. Why did they cut this? We'll never know! On a 2014 episode of Conan, Nasim Pedrad revealed a snippet of an unaired sketch featuring her spot-on Aziz Ansari impression (the full sketch later aired on Funny or Die). While the sketch itself is only so-so, Pedrad’s exuberant, voice-modulating Ansari ranks up there with Will Ferrell's Janet Reno and Kate McKinnon’s Justin Bieber as one of the best gender-bending impressions in SNL history. 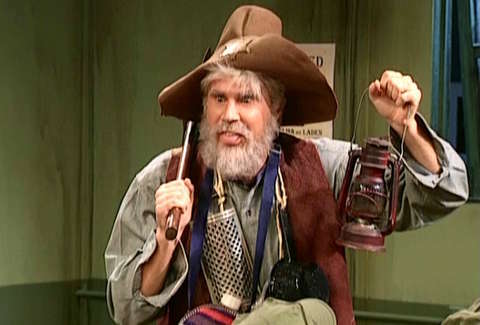 A favorite since appearing on his “Best of” DVD special, Will Ferrell as old prospector Gus Chiggins is not just a great cut sketch, but one of Ferrell's funniest sketches ever. For some reason, NBC really doesn’t want us to delight in Ferrell yelling “Oh, peaches!" but you can watch a bootlegged version here. OK, this is by no means a good sketch -- Bill Hader described it as “the greatest trainwreck ever” -- but it’s delightful to watch for exactly that reason (particularly the part where Justin Bieber nearly dies as a result of a falling wall). The commentary from Bill Hader and his two fellow writers as they watch the sketch crash and burn is an added bonus. Much like when he plays Stefon, Bill Hader can’t quite keep it together while playing this gossipy coal miner character -- who says things like, “I ain’t getting at nothing but my baby carrots” while alluding to his coworkers’ sexual liaisons and small penises -- which just makes the sketch even more delightful. It’s not easy to be funny about an issue as politically charged as the Ferguson riots, but this cut sketch about St. Louis news anchors awkwardly blundering their way through a morning talk show is a provocative and discomforting in all the right ways. In this clever little sketch, the always-charming Christopher Walken plays an emo-clad angel with Anton Chigurh hair who does not appreciate Ana Gasteyer’s dying woman stereotyping him because of his bleak appearance. Given the number of times Walken has been cast as the angel of death in his career, it seems like a fair assumption. Amy Adams can’t stop cracking up in this R-rated parody of Love Actually’s infamous cue-card scene. We don’t blame her. This sketch is great, and Pete Davidson is freaking adorable. You know it's true. Another Mooney gem, this Family Matters parody reimagines the classic "Dr. Urkel and Mr. Cool" makeover episode, with Mooney's Dougie standing in for Steve Urkel. We can see why an absurdist, deadpan parody of a nearly 20-year-old sitcom might not have been deemed urgent live material, but we're forever grateful that it made its way to the web. In which Shaq duets with Will Ferrell while cradling him in his arms like a baby. Need we say more? The greatest food-related celebrity name pun since Jon Hamm’s John Ham (and that, my friends, is a high bar). Anna Silman is a staff writer at Thrillist and an alum of Salon and Vulture who often uses, "Oh peaches!" in her everyday vernacular. Find her on Twitter: @annaesilman.